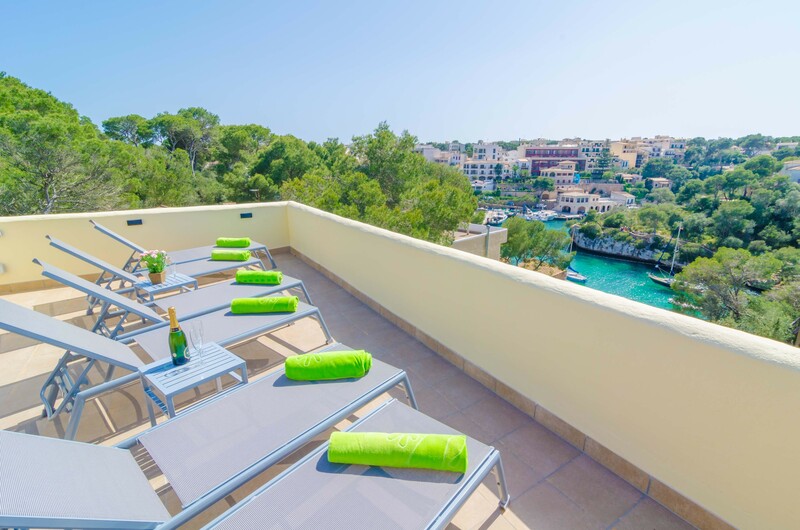 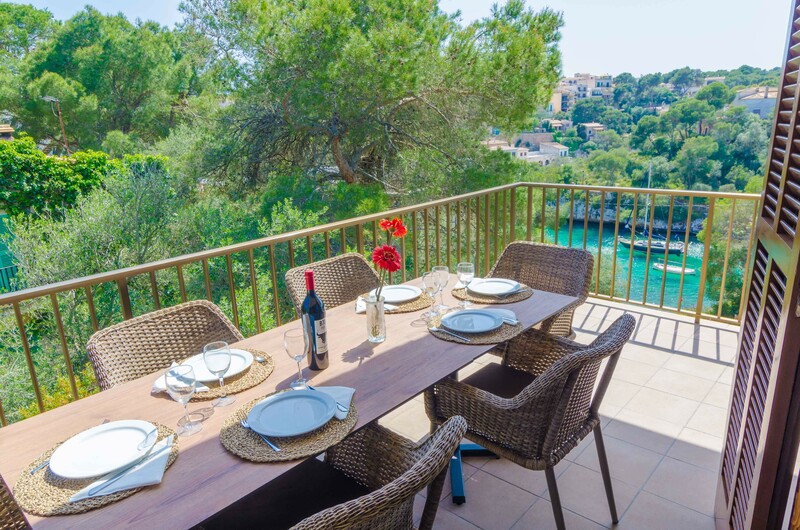 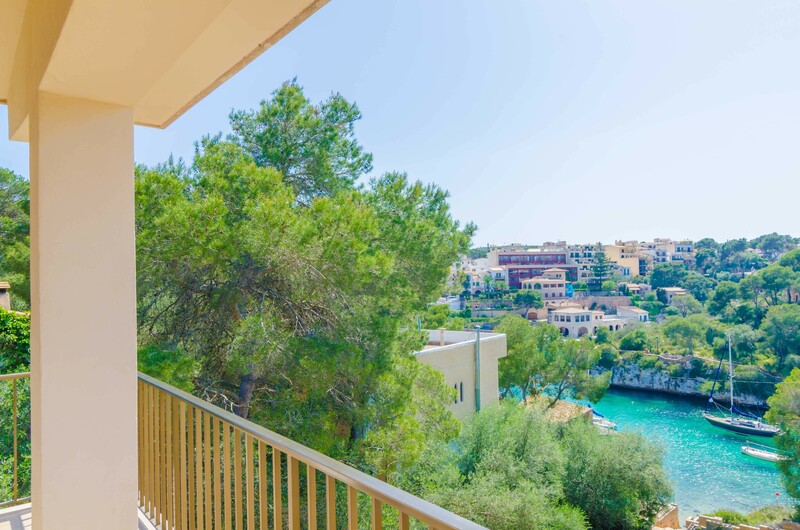 Enjoy the fantastic view of the Mediterranean while having breakfast on the furnished balcony. 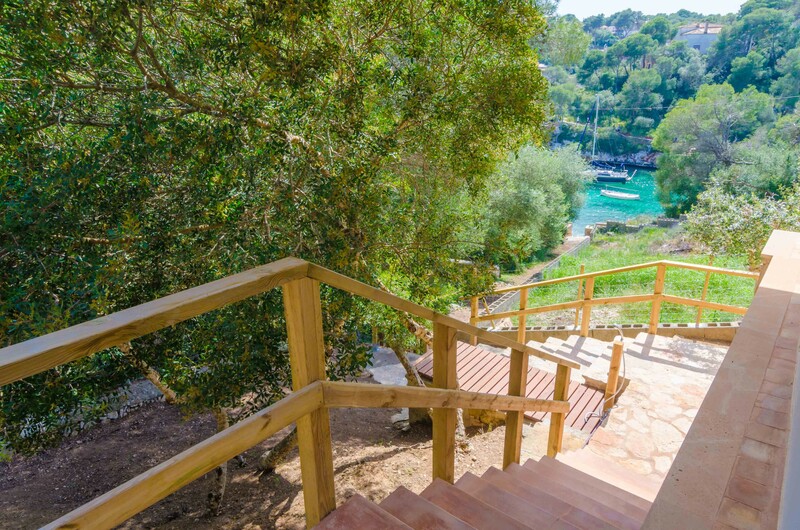 After the perfect start you can go directly to the beach via a private access and enjoy the mild climate to the fullest. 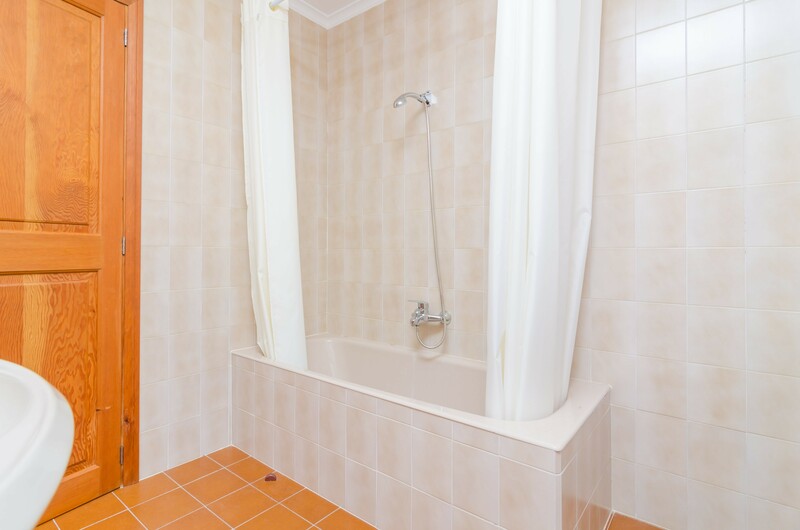 A practical garden shower rinses off sand and salt after a long day at the beach. 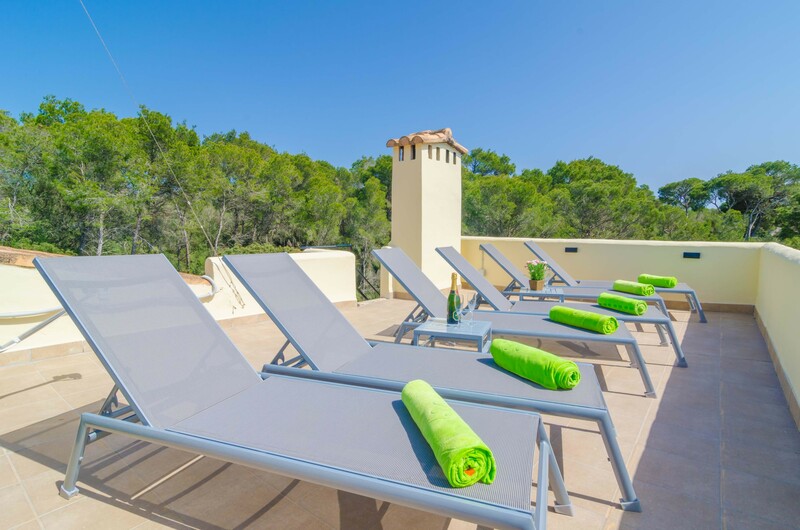 Sunbathers enjoy the sunbeds on the terrace below and on the solarium. 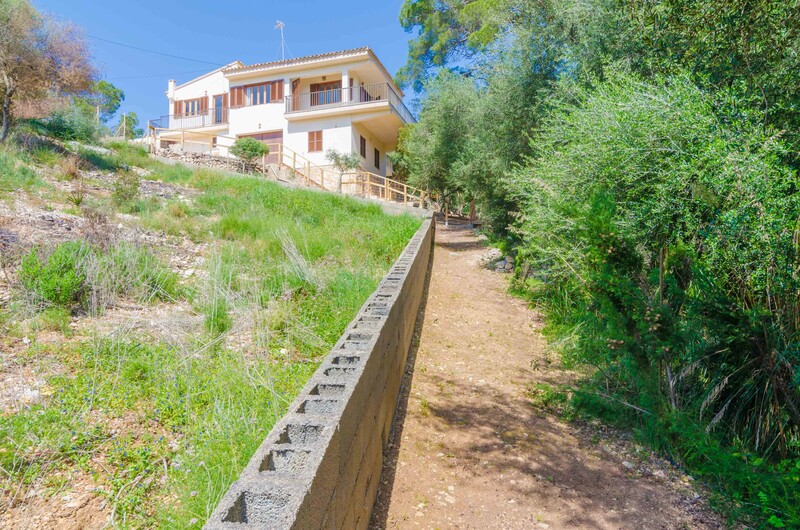 The house is located in a residential area and you have direct neighbours, the property is fenced. 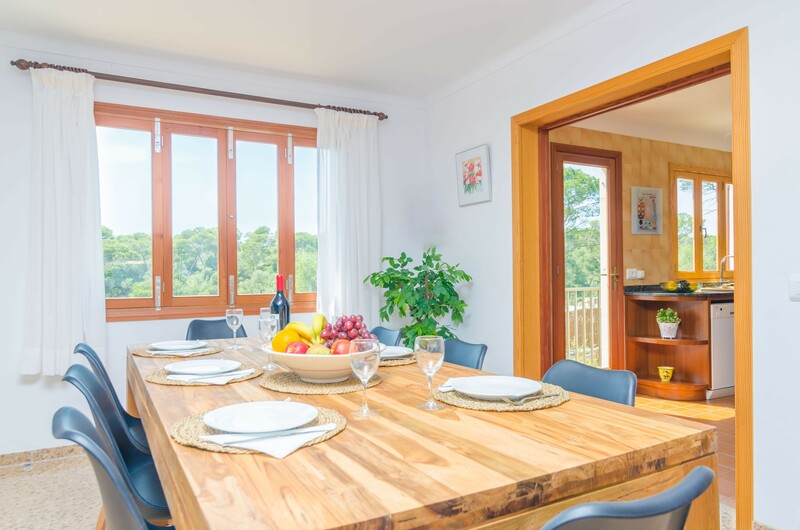 From the balcony you enter to the spacious living - dining area with air-conditioning. 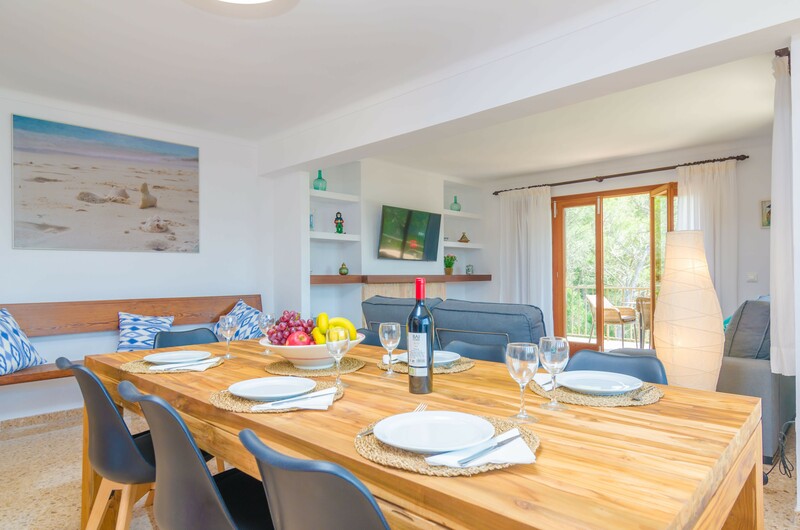 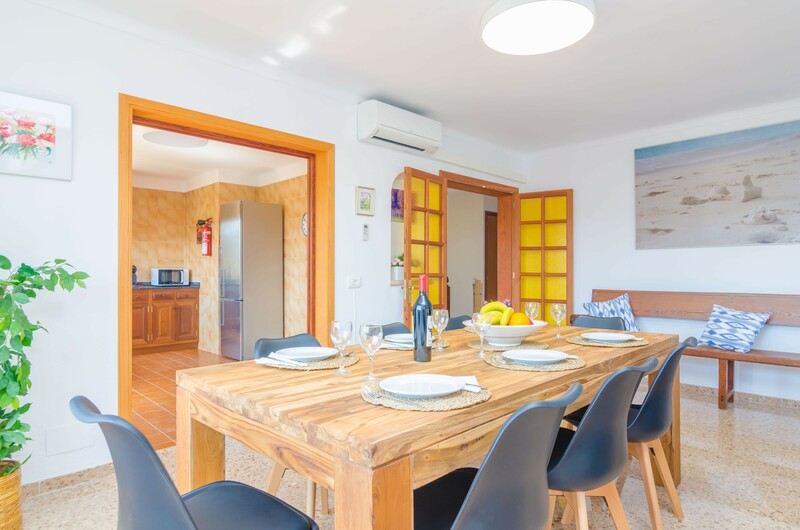 The bright room offers practical furniture and is ideal for a small siesta or shared meals at the dining table for 4 people. 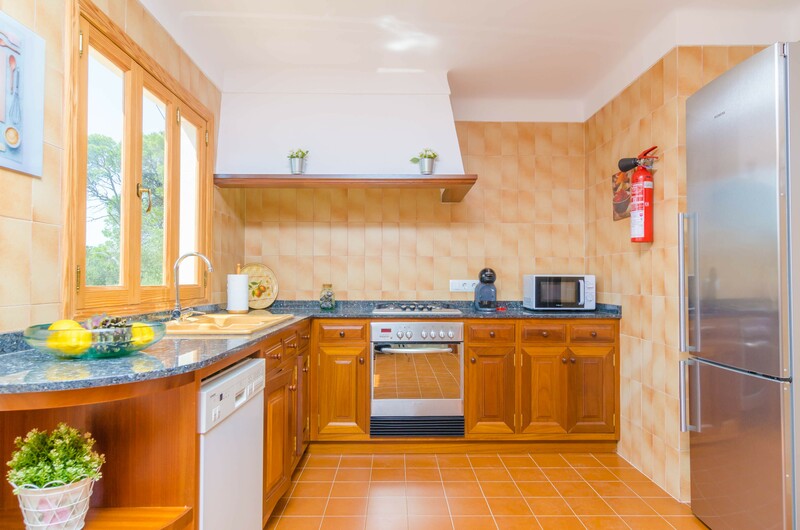 The kitchen is separated and equipped with gas stove, electric oven, microwave, dishwasher and all the necessary utensils for cooking. 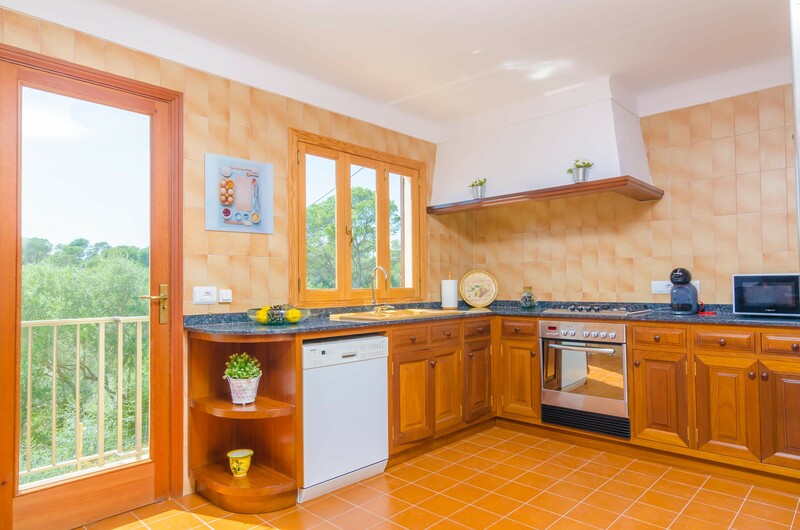 Of course there is also a washing machine, ironing board and iron. 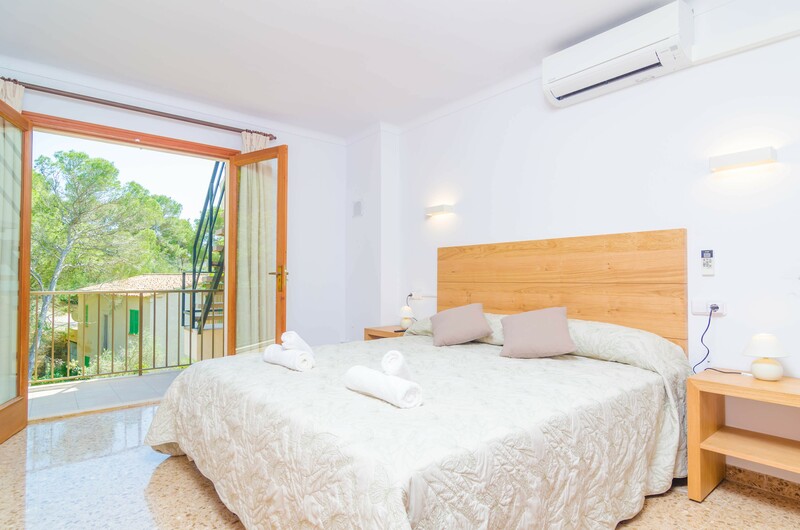 Three bedrooms entice you to rest, all with AC. 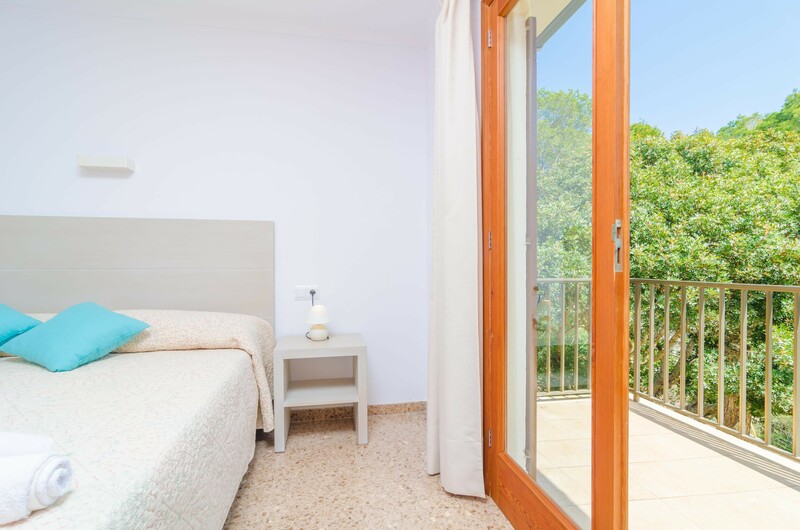 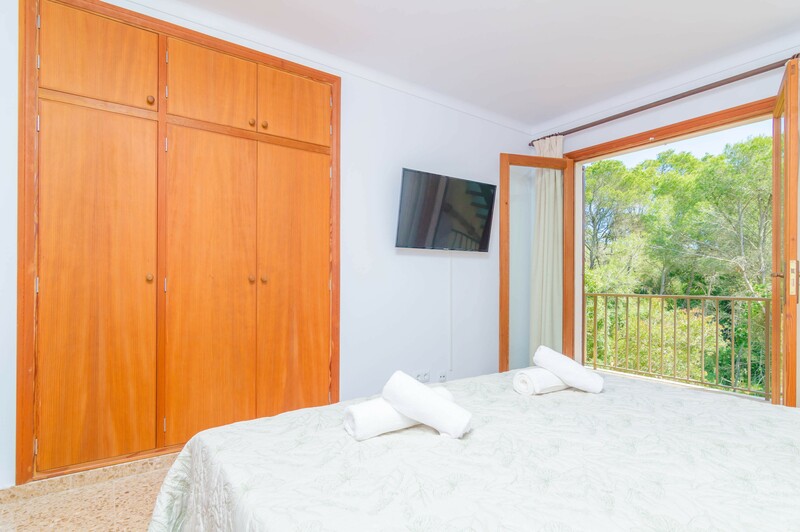 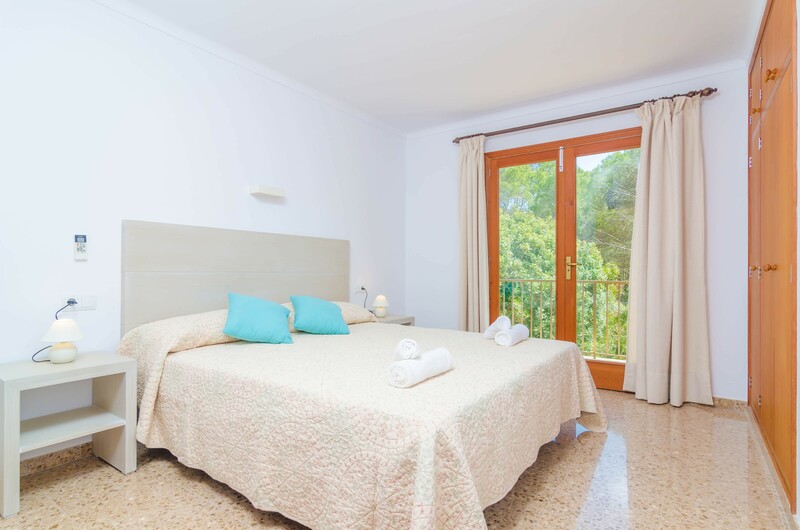 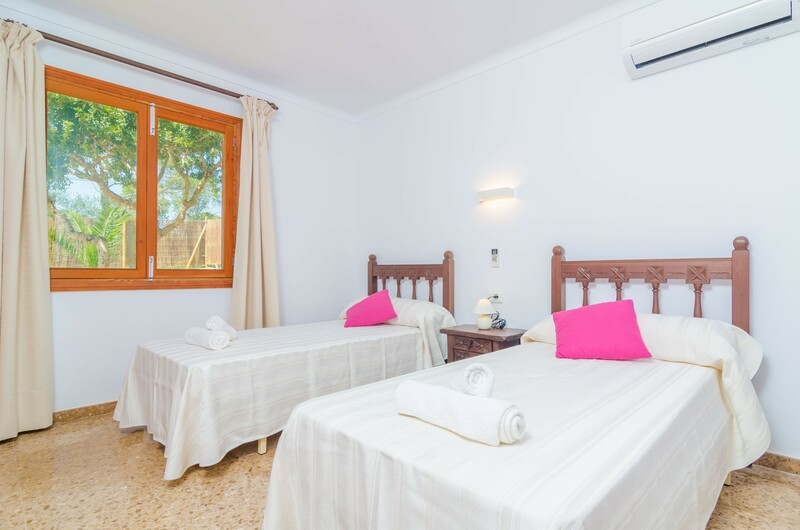 Two of the rooms are furnished with a double bed and wardrobe each and have access to a terrace, the 3rd bed room has 2 single beds and 1 wardrobe. 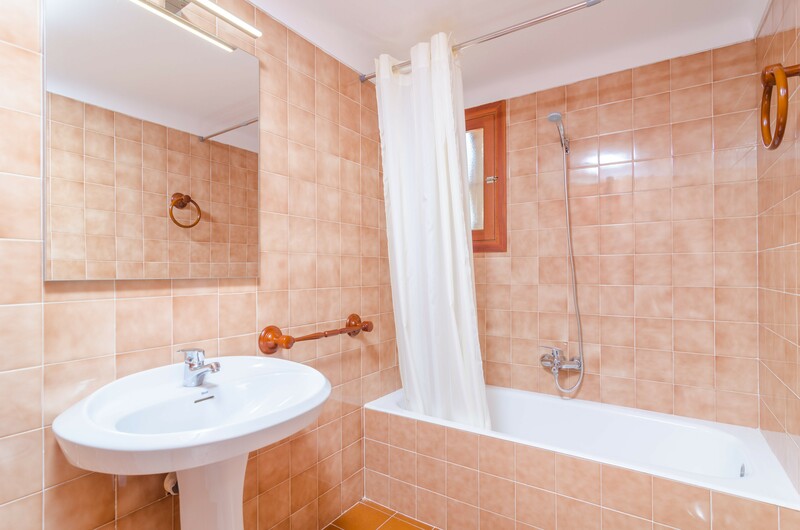 2 bathrooms with bath are accessible to all residents. 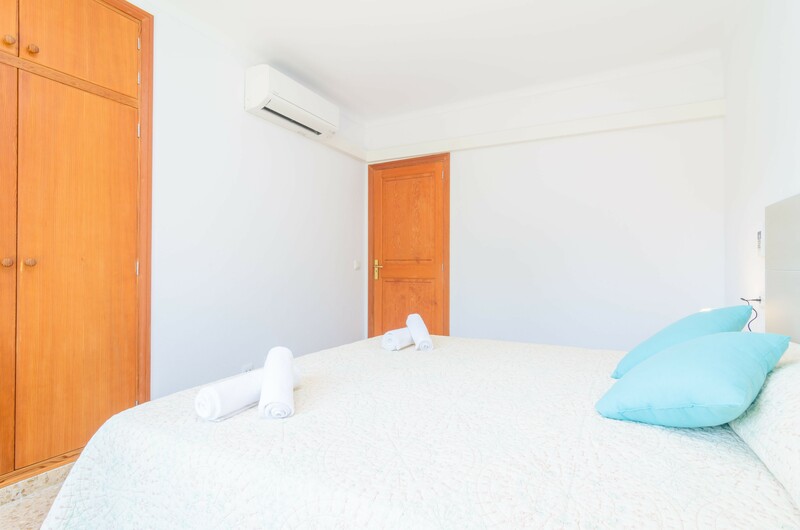 Upon request, cots and high chairs can be provided, as well as fans or electric heaters. 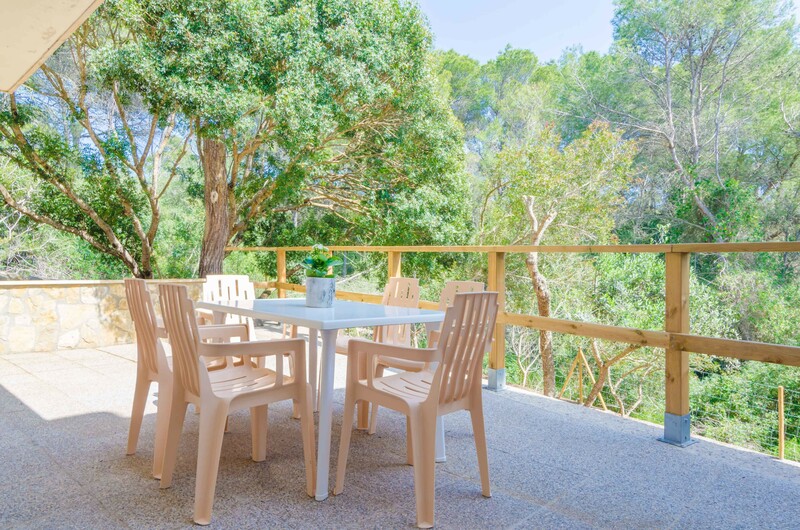 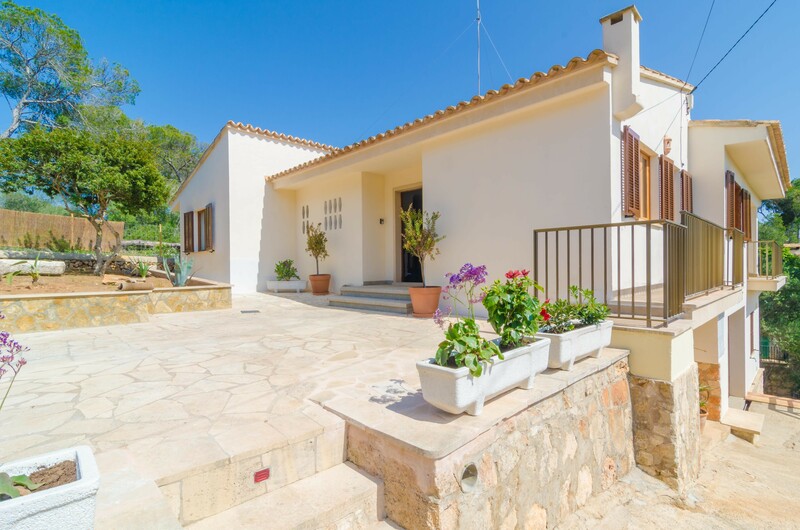 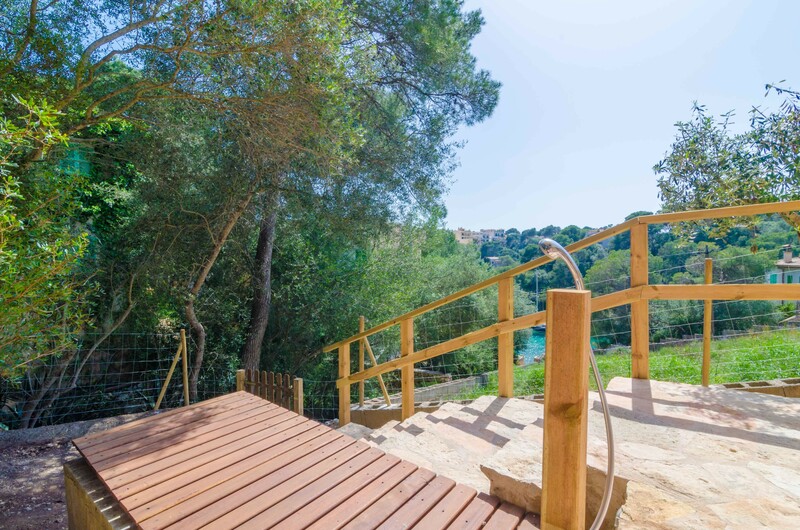 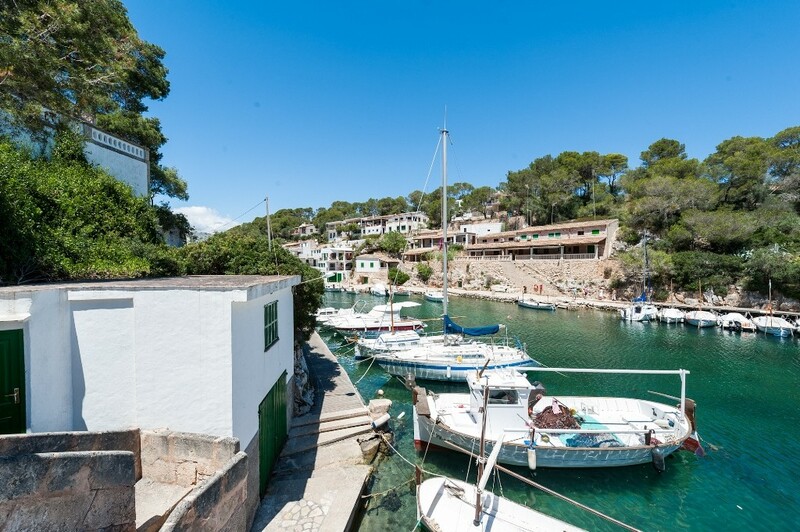 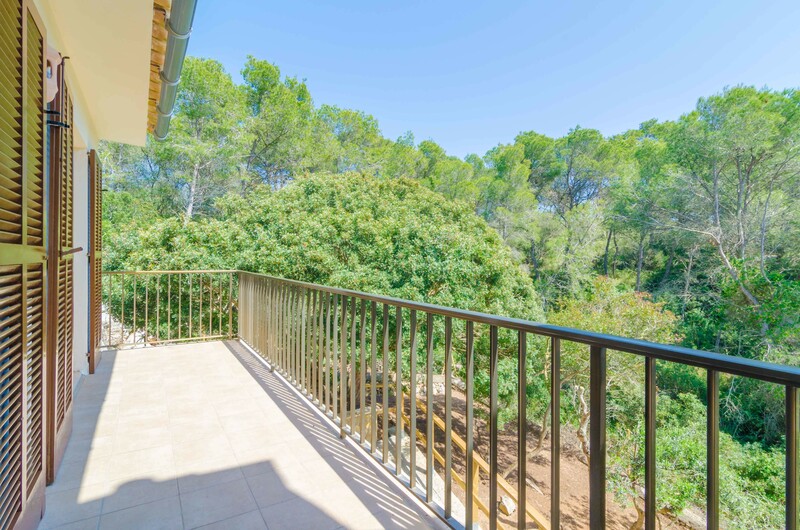 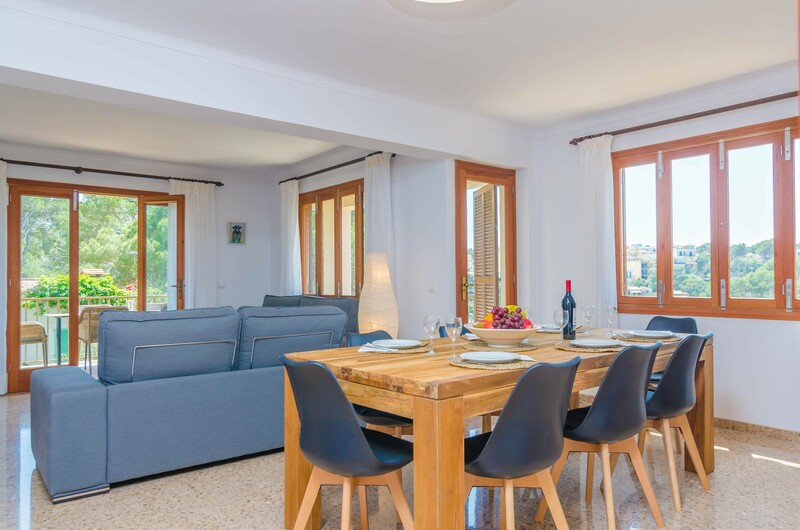 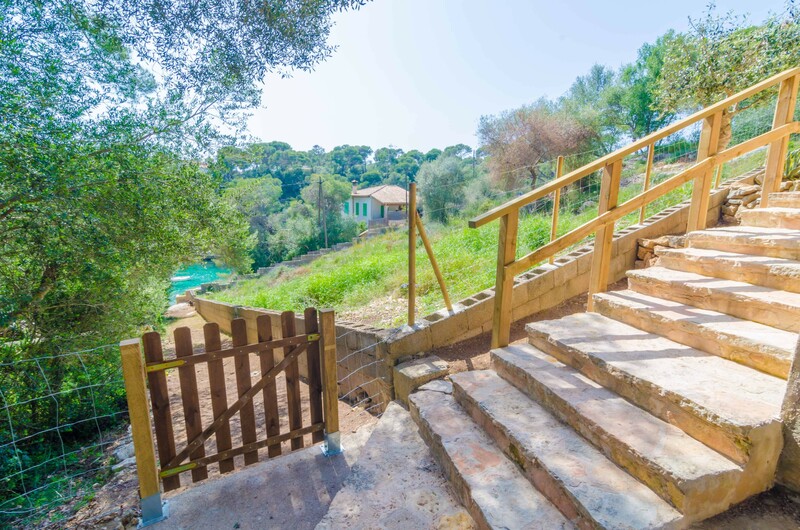 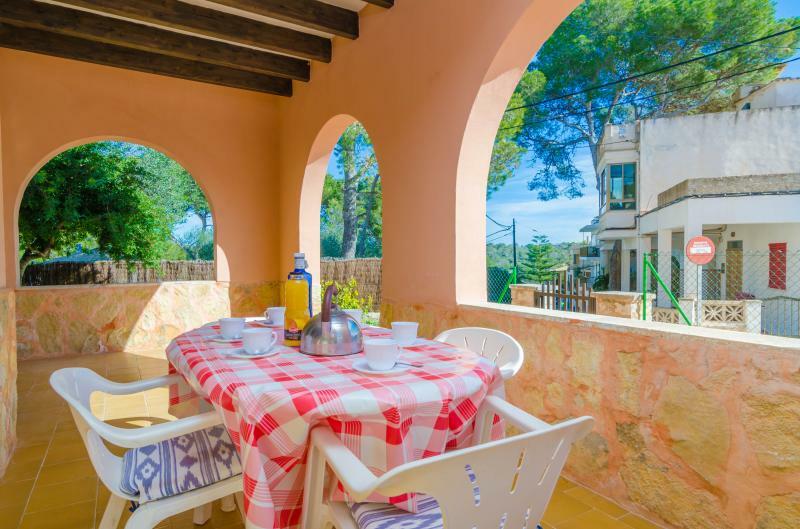 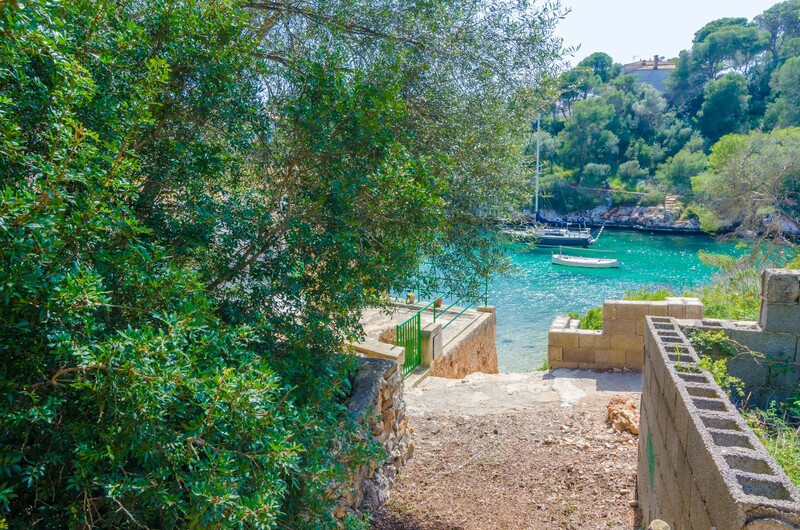 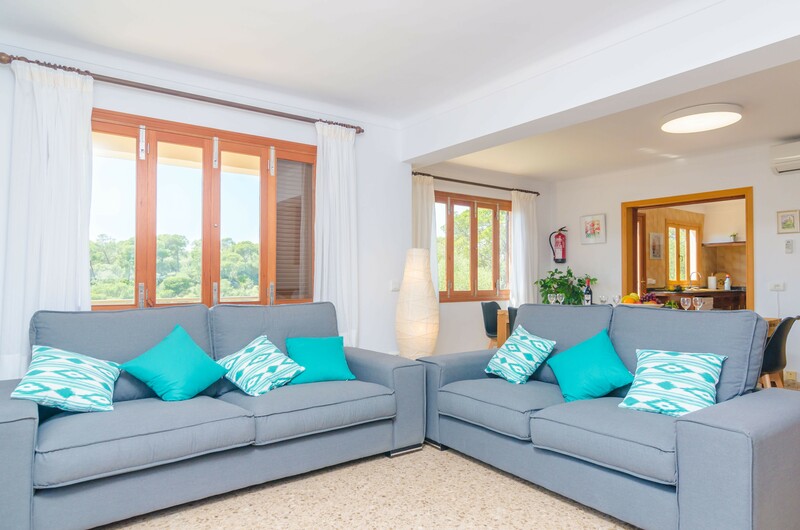 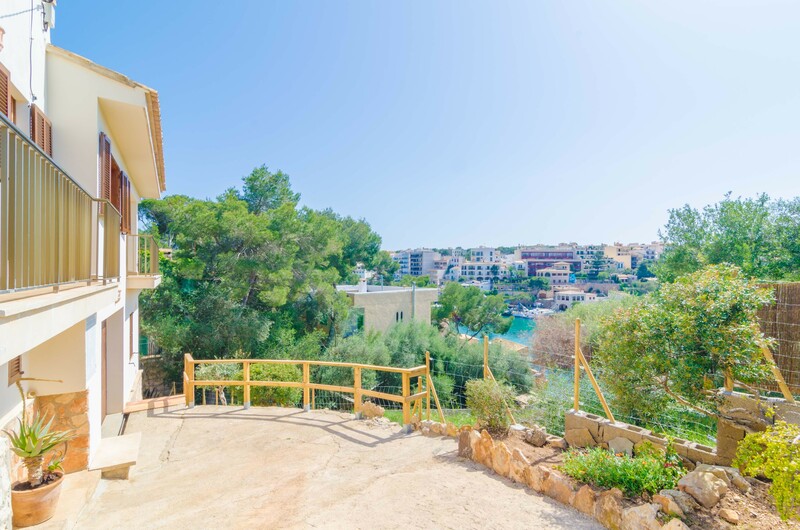 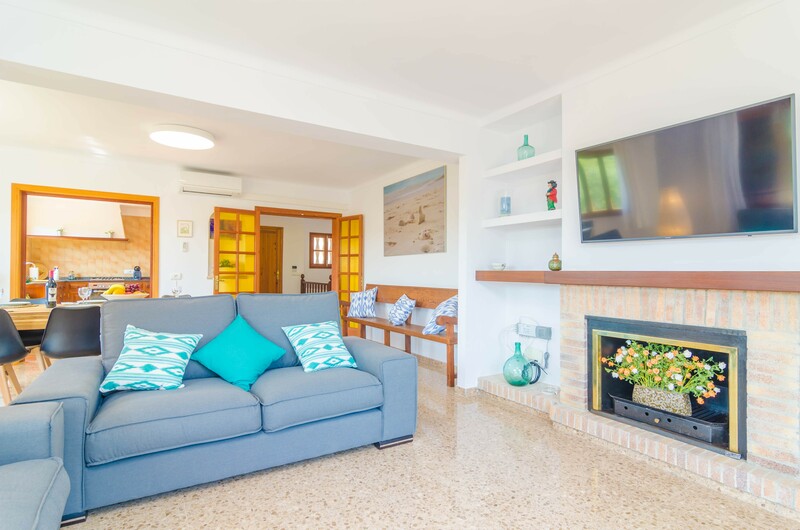 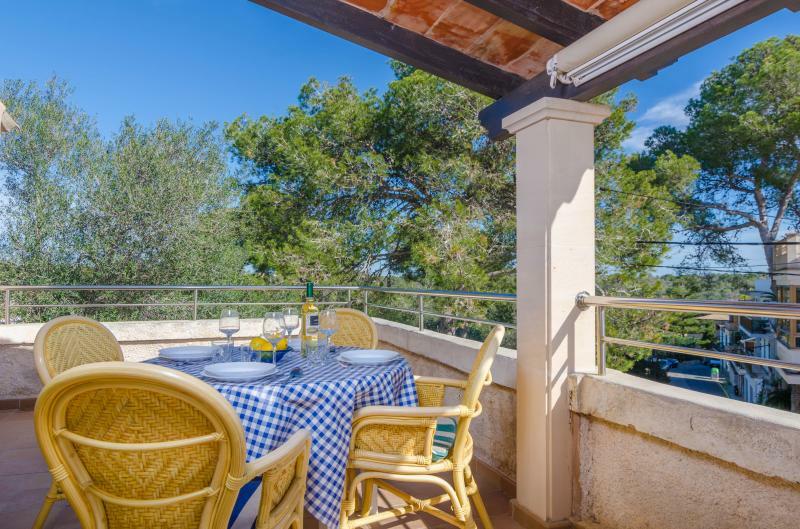 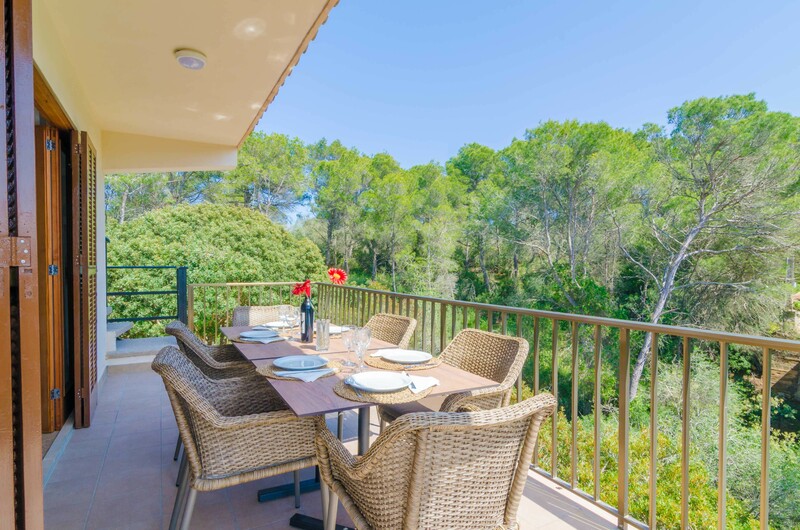 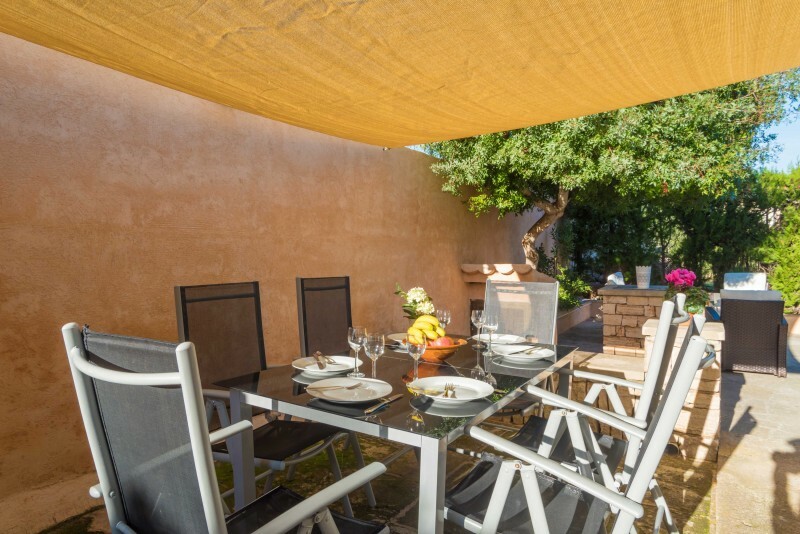 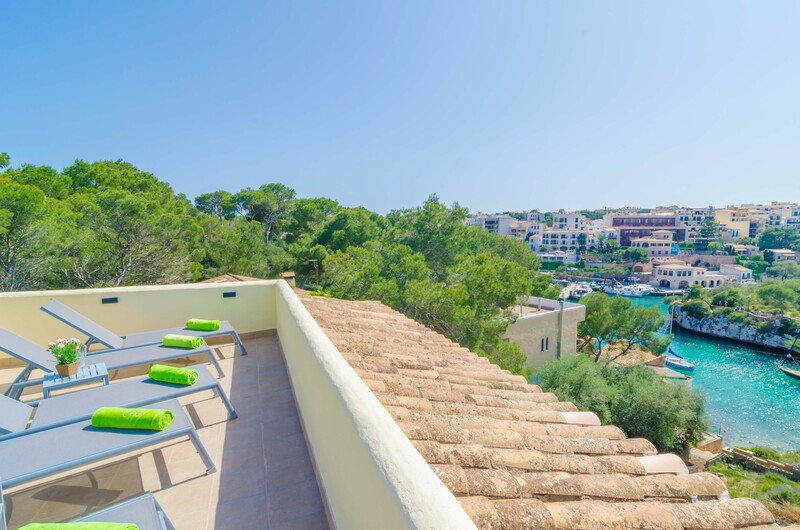 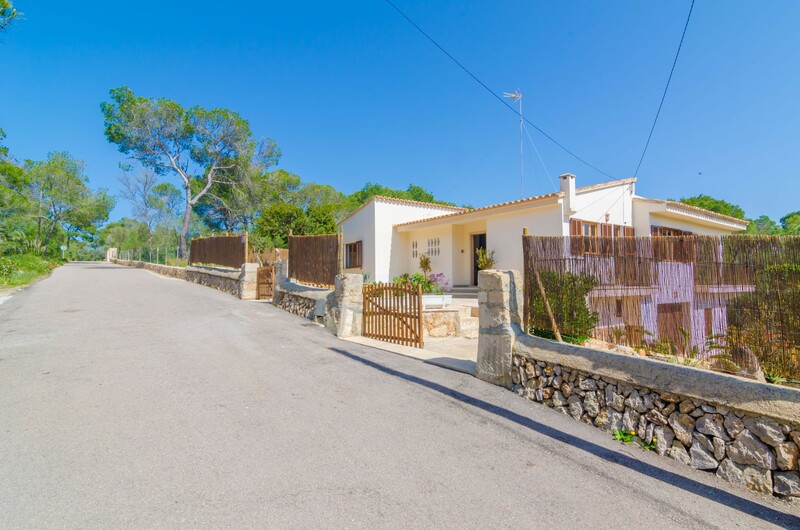 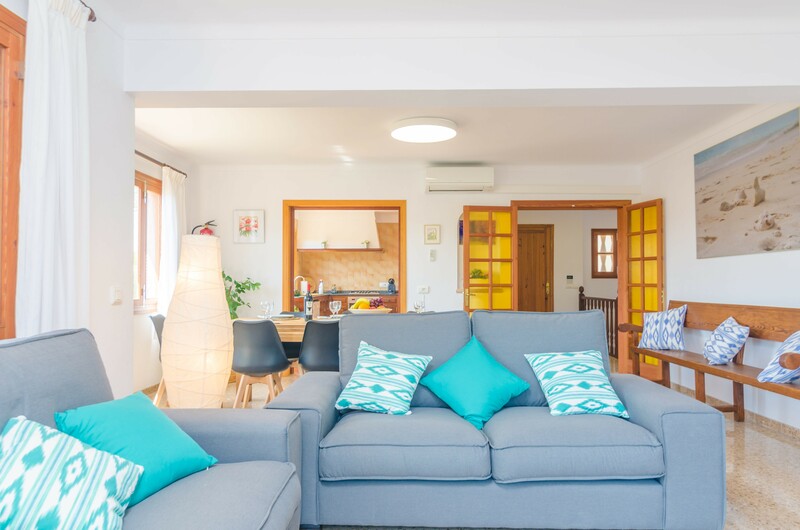 The house overlooks the idyllic port of Cala Figuera and has an direct access to the beach. 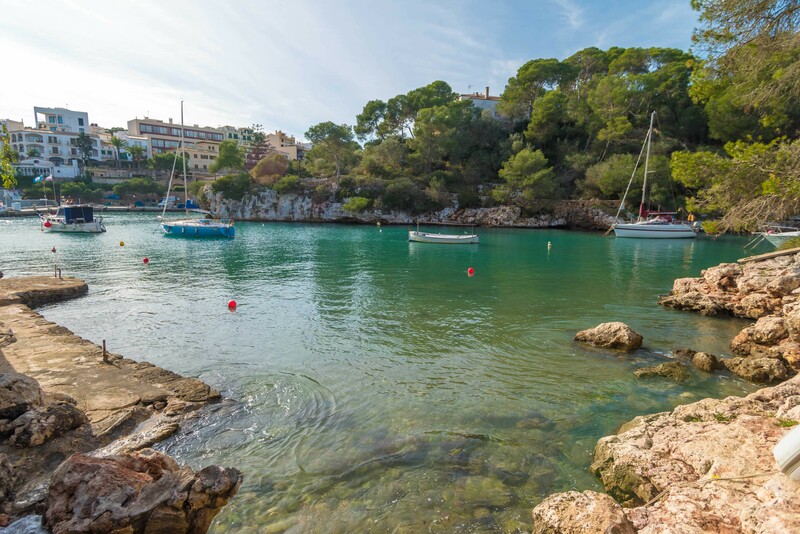 Cala Figuera is an authentic and peaceful place, with good fish and seafood restaurants, small cafes and a small port with typical boats. 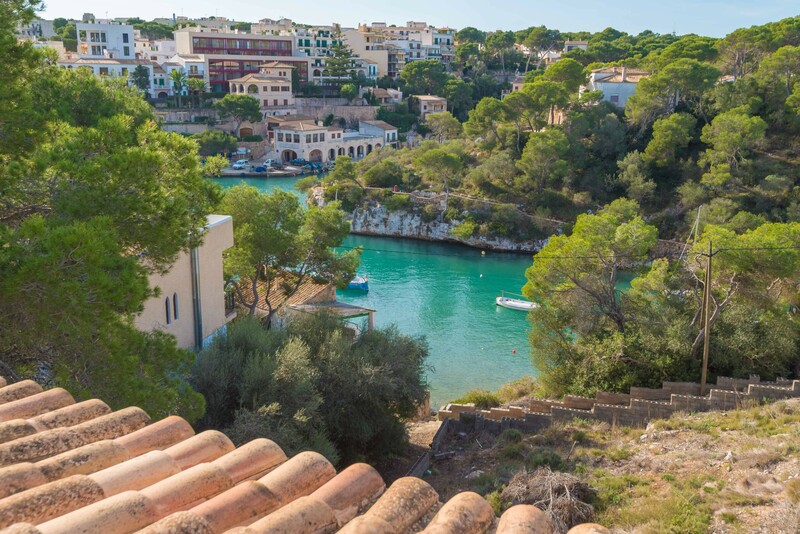 The beautiful beach of Cala Santanyí and the Natural Park Cala Mondragó are less than 10km away and promise long beach days. 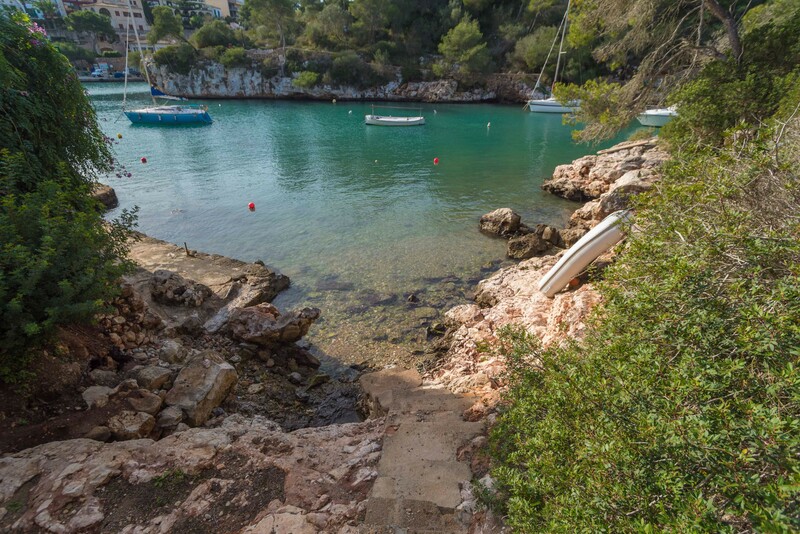 Smaller bays such as Caló des Moro or Cala S'Almunia are true natural treasures and waiting to be discovered by you. 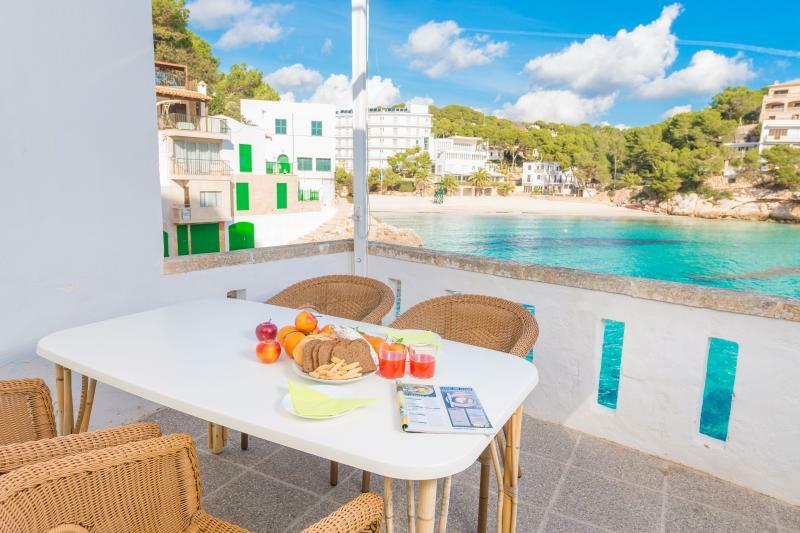 For larger purchases, we recommend Cala Santanyí with supermarkets and all necessary services. 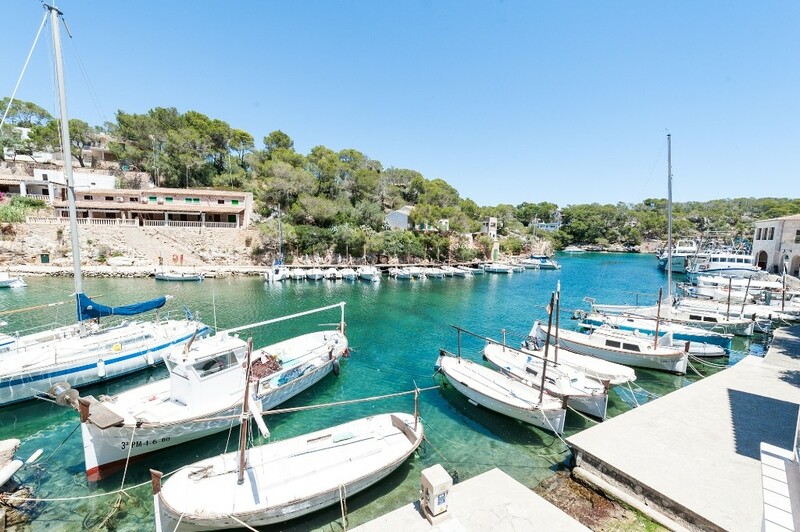 Don't miss the night live in Cala D'Or. 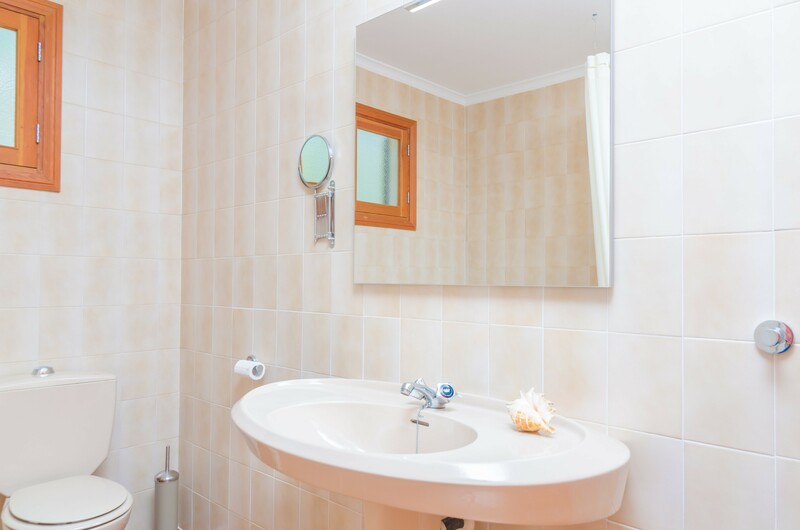 The basement (-1) is locked and uninhabited.